BioWare released a new video showcasing the Sky Palace. In the video, Jack Wood narrates as we get to see a more in-depth look at the Sky Palace on Nar Shaddaa. This place is huge! Not to mention Jack hints at being able to add staircases, balconies and more. I’m sure people will call me a fanboy, I can admit it I love SWTOR, that said look at the video. The concept for Galactic Strongholds appears to be much bigger than a simple “house.” Did anyone notice the ending of the video? Did it sound like Jack Wood was suggesting, our Sky Palaces would be located above all of Nar Shaddaa? It also looks as if we can see the outside of the Strongholds. Take a look at the video below and let us know what you found interesting in this latest video. Leave your thoughts or ideas concerning the video in the comment section below. There has been a lot of talk about Galactic Strongholds – Update 2.9, but we can’t forget Update 2.8. Speaking of Update 2.8 it has been added to the PTS. 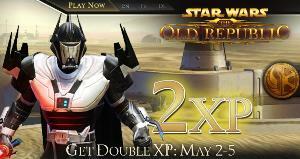 Announced May 1st on a SWTOR news article, the PTS is back up and has the first part of Update 2.8 for testing. According to the news article, the update contains the new Nightmare mode for the Dread Palace Op. It also features several new class changes. For complete details of class changes, be sure to read the latest PTS patch notes. Galactic Starfighter will have two new starships added. There will not be a new starship role added to GSF. This is a change to the Roadmap, but Tait Wailson posted that Bruce Maclean will be giving us a revised Roadmap in the next week or two. I am eager to see what the new tentative scheduled for the rest of the year will be. – A new Gunship variant has been added! The SGS-S1 Condor (Republic) and GSS-4Y Jurgoran (Empire) are now available via Fleet Requisition. These Skirmisher Gunships are a more up-close-and-personal Gunship with a Railgun and Missile-focused loadout, including an option for the new Interdiction Missile. – A new Bomber variant has been added! The Sledgehammer (Republic) and B-5 Decimus (Empire) are now available via Fleet Requisition. These Assault Bombers are heavily armored Bombers that are best in the thick of the battle, and are able to deploy Drones or Mines for maximum effectiveness. If they were to add another role to GSF, it would lead to balance issues. The two new starships, a gunship and a bomber, sound like interesting mid to close range starships. According to forums posts, the gunship, has a railgun and a missile focused loadout. The bomber, is listed an assault bomber. Sounds like it will be armored and packed full of mines and drones to drop. These two variations might not be a new starship role, but they could very well change some tactics in GSF battles. These patch notes, dev posts, and articles sound great, but they won’t mean anything if they are not properly tested. Even if it is one night every other week for testing, that would benefit the testing procedure greatly. What night would work best for you to play on the PTS? Let us know in the comment section below. Perhaps we can get a CRR group to play some Galactic Starfighter etc. Make sure to check out the latest podcast as we welcome the newest member of the CRR family, Heather. Be sure to keep an eye out for her article in the near future, in the mean time head over to her blog, “Pretty Little Sith.” As you read the articles, be sure to take a moment and submit your feedback and suggestions in the comment sections. We love to hear from you. Thanks and enjoy the links below. This week we have another video to showcase. Since we are celebrating Star Wars Day this weekend, I found a short fan made Star Wars film. The video is directed by Corey Vidal. “Clash at the Cantina” is set in the galaxy’s most well known cantina in Mos Eisley. The video is a parody of the classic scene in Star Wars episode IV. I found the video funny and especially loved the exchanges between the two friends. Debating the lines in the movie or discussing which character we would be is something most Star Wars fans can relate to. Let us know what you think and Happy Star Wars Day…May the Fourth be with you.